By popular demand on Facebook and Twitter, Sherilyn Fenn Week smoothly extended into Sherilyn Fennbruary. February is her birthday month after all. With the month almost coming to an end, Welcome to Twin Peaks compiled an Audrey Horne themed Spotify playlist for you to enjoy even beyond #SherilynFennbruary. If there’s one Twin Peaks character deserving of her own playlist, it has got to be Miss Horne, right? Isn’t It Too Dreamy: An Audrey Horne Inspired Playlist includes over two four hours of music from the fifties and all subsequent decades. Think dreamy reverbs and ethereal vibraphones, from heavenly shoegaze to seductive jazz, from instrumental to doo-wop and from Aphex Twin to The Flamingos. As always, song recommendations are appreciated in the comments! Just like previous Twin Peaks playlists Leland Palmer Gets Happy and Nighttime at the Roadhouse, this one will be continuously updated so make sure you subscribe to its updates by clicking the Follow button in Spotify. Thank you, Greg! Great recommendations. ‘Emotion Heater’ by The Gentle People might fit in nicely here. Also if you do a Jacoby tracklist the song ‘Tiki Mix’ by The Gentle People would be perfect for that. Another damn fine playlist! “Nighttime at the Roadhouse” remains my favorite. This is rapidly becoming a close second. Of course, I occasionally need to drown out the malicious entity that controls my soul with the upbeat, swingin’ sounds of “Leland Palmer Gets Happy”. Thank you for the pretty songs and are you going to eat that slice of cherry pie, because it looks amazing. Check out Wooly Clouds by Little Auk. Definitely has a Twin Peaks vibe! Check out the Nighttime in Twin Peaks playlist for a couple of Beach House songs and lots more! Coil’s “Omlagus Garfungiloops” and most of their “Stollen and Contaminated Songs” album. 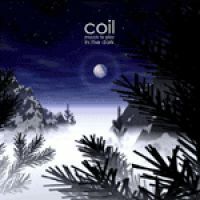 “Red Queen” from Coil’s “Musick to play in the Dark vol. I” and maybe “An Emergency” and some other tracks from vol. II. Amazing playlist! I hope you find these suggestions of interest.